Explore topics that inspire you and learn from world-leading academics on our research-led LLM programme. With the freedom to create a bespoke degree, you’ll develop a distinctive professional profile that will help you achieve your career ambitions. On this rigorous but exciting LLM programme you’ll gain the knowledge and professional skills required to advise, litigate and negotiate, based on a sound knowledge of the legal frameworks in areas that interest you. The course is completely flexible, enabling you to study subjects you are passionate about and that reflect your career aspirations. 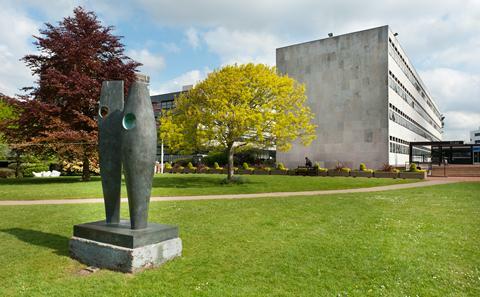 You’ll choose from a broad range of modules, including some that are unique to Southampton Law School. The options reflect our world-leading expertise in areas such as maritime, corporate and commercial, international business, information technology and insurance law. You’ll be taught by world-renowned academics who are at the forefront of cutting-edge research and high-profile law reform and advisory work, and who bring the latest legal developments to your learning. A close-knit and diverse learning community, we offer an exceptional academic experience, with small-group teaching that allows you to explore topics in depth and plenty of support to ensure you achieve your potential. In addition, our strong links with the legal profession and extensive career support will enable you to grow your networks and enhance your employability in preparation for a successful legal career. We welcome applications from recent law graduates who want to gain more in-depth legal knowledge, and those with some professional experience who are looking to advance their career or take it in a new direction. If you choose to study here you’ll be welcomed into a diverse, international postgraduate community; you’ll develop a global network of contacts that will prove invaluable as your career progresses. This course is offered full time (one year) or part time (two years). You’ll be required to complete a dissertation and take four modules (or the equivalent in modules and half modules), which you can choose from an extensive range. You’ll begin by taking an intensive, one-week introductory course on common law. The course is designed to ensure that students from different jurisdictions and countries understand the workings of this important legal system. The dissertation is another opportunity to personalise your course, as you’ll be able to immerse yourself in a topic that interests you and develop a specialism that will boost your prospects in a particular sector or field of law. You’ll undertake independent research to inform your dissertation, with guidance and support throughout from an academic supervisor. Our academics are active researchers who have unrivalled knowledge of current legal frameworks and, through law reform work and consultancy, are active in shaping the laws of the future. They ensure you are up to date with the latest legal developments. Professor Brenda Hannigan, a renowned specialist in company law and author of Company Law, a leading text book on the subject. She contributes to company law reform initiatives as a guest member of the Company Law Committee of the Law Society of England and Wales. Professor James Davey, who specialises in insurance and maritime law. He is widely published in leading law journals and has contributed to several books on maritime, consumer and corporate insurance law. His current research focuses on the shape of insurance regulation in the UK and US, in light of the lessons from behavioural economics. Our academics are extremely well connected; their links with international and local law firms, the judiciary, businesses and government agencies will broaden your education and provide crucial networking and career opportunities. Guest speakers will give you insights into current and emerging legal issues. Across our modules, recent speakers have included representatives from top law firms, global corporations, major banks and insurance companies, P&I (protection and indemnity) clubs, ship brokers, classification societies, and the UK government Foreign and Commonwealth Office. Our reputation enables us to attract eminent figures in the legal profession, such as Lord Neuberger, President of the UK Supreme Court, to speak at special events. We are regularly approached by companies and law firms who are interested in recruiting our students for internships or graduate roles. We offer prizes, sponsored by businesses and law firms, for high-performing LLM students on some modules. These can take the form of monetary awards or work placements, which are a great opportunity to gain professional experience and make new contacts. Recently students have undertaken placements with law firms such as Campbell Johnston Clark and Clyde & Co.
Design your own degree by selecting modules from a wide range and choosing a topic that interests you for in-depth dissertation research. Learn from world-leading academics, many of whom are authors of key law text books. Modules are informed by the latest studies being undertaken in our prestigious research centres, in areas including maritime, commercial, internet, health and insurance law. Our alumni are enjoying career success all over the world, in law firms and companies such as Ince and Co, Hogan Lovells, Campbell Johnston Clark Ltd, Holman Fenwick & Willan, PSP Law, Linklaters LLP, Interport Maritime Ltd and Van Traa. Whatever your chosen modules, you’ll graduate with specialist legal knowledge and exceptional critical, analytical and communication skills – a package that will impress employers as you take your next career steps. You could choose to become a solicitor or barrister, or, depending on your module choice, use your legal knowledge in the insurance, financial, banking or commercial sector, or within a commodity house, shipping company, P&I (protection and indemnity) club, or government body. This degree is also excellent preparation for further study at PhD level. The majority of the programme is delivered using a small-group approach, offering an unrivalled depth of analysis of your chosen topics and the chance to put your learning into practice. We incorporate practical work into the modules, such as responding to public consultations, or examining the legal implications raised by a new convention and drafting a clause to tackle potential problems. As well as enhancing your legal skills and understanding, these activities will help you to develop transferable skills such as team working, communication, critical appraisal and logical reasoning. Working with a diverse student group also means you’ll gain insights into other cultures and professional practices – invaluable for an international career. You’ll receive immediate feedback on your work during class so that you can identify strengths and areas for improvement. Formal assessment will vary depending on the modules you choose, but will include exams and coursework as well as your dissertation. An additional learning experience involving all our LLM students, the LLM Challenge is a chance to practise your professional and research skills. Students across all LLM pathways are assigned to teams and given a current topic to debate, competing for a small monetary prize. You’ll join a friendly, diverse postgraduate community with a supportive culture. A relatively small law school, we can build individual relationships with our students and provide tailored support to help them realise their potential. Every student is allocated a personal academic tutor who can advise on course-related or personal matters, and your module tutors are available to offer guidance on subject-specific queries. In addition, you can access the University’s language, academic, visa or welfare services should you need them.